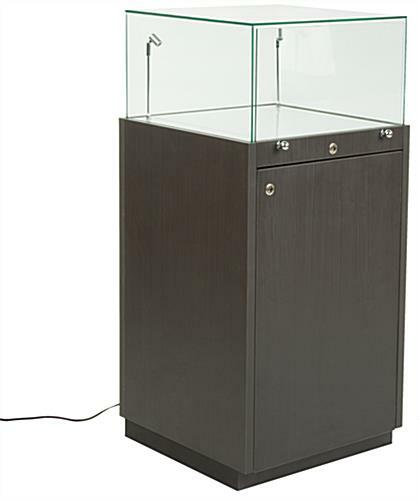 Woodgrain Finish is Black, with a Square Glass Cover! 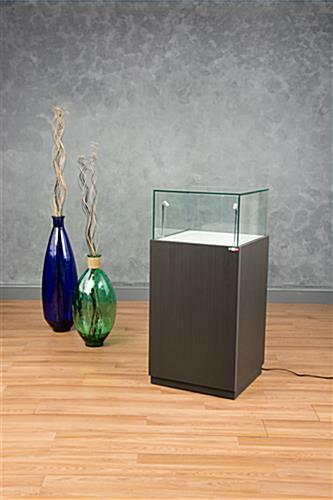 LED Lighting Fixtures Put Spotlight on Valuables! 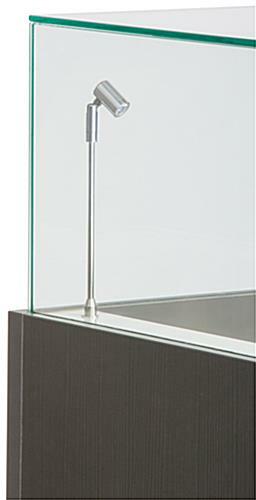 Presentation Area is 10"H for Delicate Artifacts! 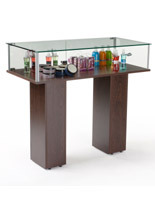 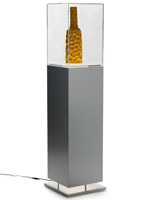 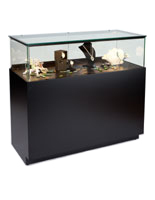 This museum display stand is square with a beautiful grain black finish and glass top. 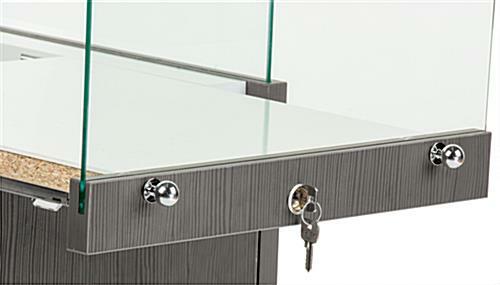 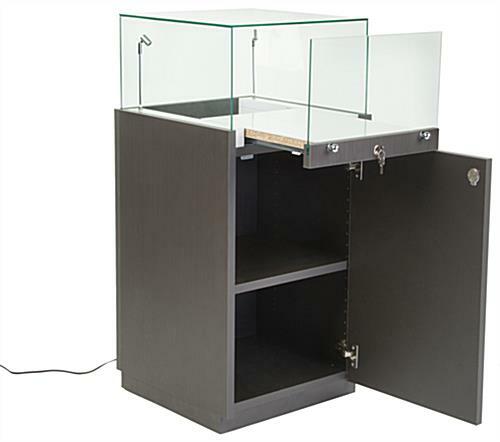 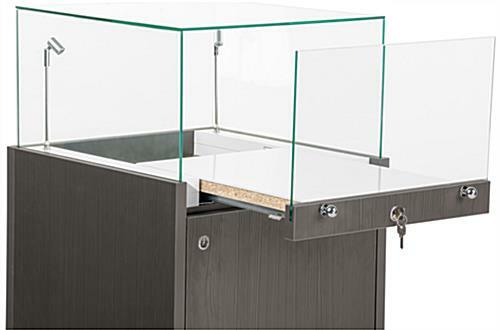 This exhibits case features a pull-out style drawer and swing-open locking door. 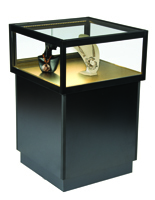 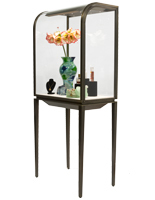 This display stand that is a mount for art gallery objects has concealed storage inside the pedestal for showcasing valuable watches or jewelry, artifacts, or crafts. 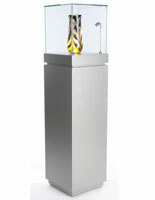 The art pedestal has (2) LED lights that put a spotlight on the items being shown. 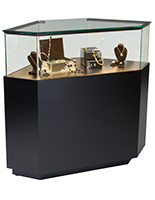 This display stand, such as a retail showcase, can be bulk purchased at wholesale prices when outfitting a large showroom. 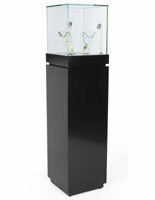 19.6" x 42.0" x 19.8"
18.1" x 25.9" x 16.8"
19.6" x 39.8" x 19.8"
18.1" x 10.0" x 18.4"
18.3" x 10.0" x 10.5"